Three Tea Party issues were prominent in the 2016 election - Obamacare, immigration, and voter fraud. 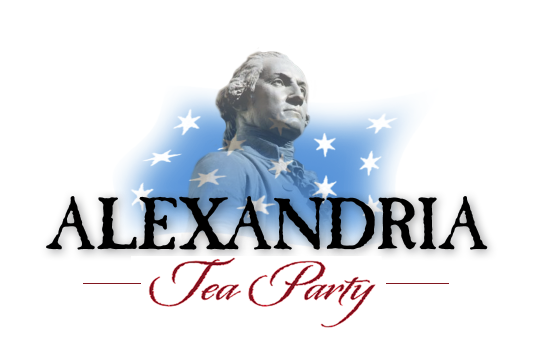 Alexandria Tea Party ended 2016 with 552 people on the mailing list, substantially unchanged from last year. In line with the results of a previous member survey, ATP's leadership focused on activism instead of meetings again this year. ATP has two main focuses - the Constitution and anticommunism. ATP presented on the Constitution at the Northern Virginia Tea Party Regional Conference in May. ATP's Constitution project was picked up in 2016 by Tea Party Patriots, the national group led by Jenny Beth Martin. An ATP executive committee member produces a 'Constitution Minute' most weeks, which he presents on TPP's Sunday national webinars. Substantial expansion of the project is planned for 2017. An ATP spin-off - the Anticommunism Action Team [ACAT] - has 131 people on its mailing list. ACAT has three main projects - a speakers bureau, university course material, and pushback against China's forced organ harvesting. Keep up with ACAT's activities on its website and join its mailing list by sending your request to mail@spider-and-the-fly.com. Although we no longer have regular meetings, we did provide 9 opportunities for you to rub shoulders with fellow tea partiers in 2016 - 1 conference call, 2 happy hours, 3 meetings, and 3 booths. One of the meetings was our annual 4th of July program which we have been doing since our inception. Two of the meetings were film screenings with the filmmaker available for Q&A. We expect this pattern to continue in 2017 with happy hours combined with literature handouts (like we did at the King Street Metro for the election in October) and meetings confined to special presentations. Activism, once more, will take center stage. In 2016, we continued to inform our members of Action Alerts and outside events of interest by way of email newsletter. Action Alerts this year included two protests at the Supreme Court and various phone banking opportunities for candidates who aligned with our core values. Notable events this year were Martha Boneta's Liberty Farm Festival and the Act for America annual conference. Our mailings are confined to noteworthy information. Our list is never sold or shared, and never will be. ATP has consistently been promoting our core values - limited government under the Constitution, free markets, and fiscal responsibility - as well as our implicit values (patriotism and civic engagement) since the beginning. We look forward to serving the cause of liberty again with your help in 2017. Meanwhile, on Virginia's Northern Neck, two Tea Parties folded into well-deserved obscurity. They have not held a meeting since June 2016. The Montross Tea Party is fading fast. Canceled their December meeting for lack of interest. For 2016, one of their meetings drew nine people . . . that was the biggest crowd all year. Also, the 99th District Tea Party attempted to form the "First District Freedom Coalition" in June 2016. The FDFC folded in October . . . Facebook page gone, first and only meeting canceled.